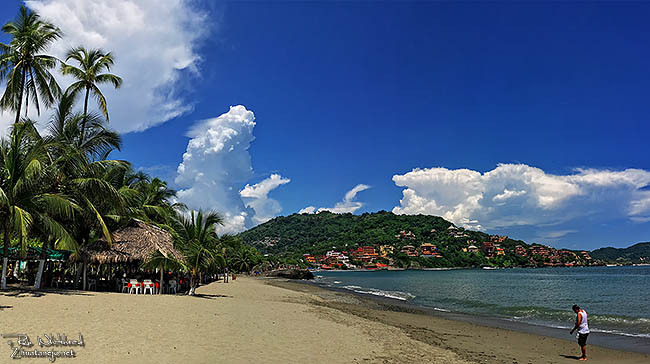 This site is intended as an aid for residents, tourists and visitors to the vacation resort area of Zihuatanejo-Ixtapa, Mexico in the coastal region fronting the Pacific Ocean known as La Costa Grande of the state of Guerrero and includes the nearby communities of Troncones and Barra de Potosí. The Directory sections feature Web sites or e-mail addresses for local hotels, inns, bed & breakfasts, houses and condominiums for rent as well as institutions, professional services, restaurants, bars, guided tours, diving, surfing, and sport fishing charters. 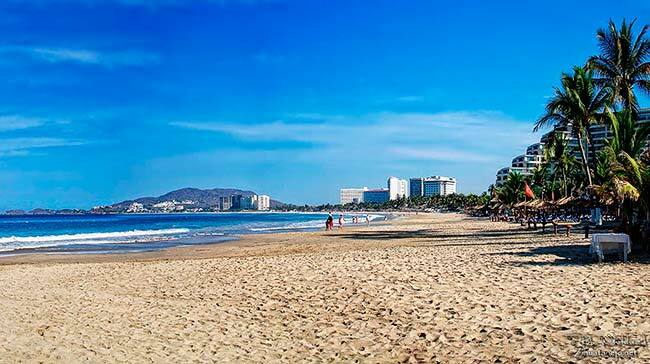 The Zihuatanejo Ixtapa Visitors Guide section features recommended services, including some of the same listings found in the Directories as well as other services without Web sites or e-mail. The Visitors Guide also features details of our beaches, public transportation, how to get here, local activities, helpful telephone tips, maps, and photos. The public message board is moderated and includes many archived trip reports. The Site Search Engine should be able to help you locate information about specific lodgings and services. Troncones, La Barra de Potosí, Ixtapa & Zihuatanejo, Mexico are located on La Costa Grande of the state of Guerrero fronting the Pacific Ocean about 240 kilometers (144 miles) northwest of Acapulco. Both Acapulco and Morelia are about 4 hours driving time from Zihuatanejo. Zihuatanejo is the actual town with family-run guest inns, luxury boutique hotels, condominiums, and vacation lodgings that overlook the bay and beaches as well as the homes, neighborhoods, apartments, stores, shops, and businesses that make up its thriving community. Ixtapa is a government-planned vacation resort area. The hotels and condominiums in Ixtapa along the main beach are mostly high-rises. Lovely luxury homes, condominiums and vacation accommodations set in quiet neighborhoods also surround the golf courses and the marina as well as the hillsides and smaller beaches. Troncones is a small beachfront community of fishermen and farmers with many beachfront vacation homes, bungalows and guest inns located about 37 kilometers (22 miles) to the north. The entire region makes up one of the most beautiful beach resort areas in the world. Diverse, peaceful and secluded. Barra de Potosí, Playa Larga and Playa Blanca form a 15-kilometer (9 miles) stretch of beach to the south of Zihuatanejo, Mexico near the Aeropuerto Internacional de Zihuatanejo-Ixtapa. Enjoy the warmth of Mexico's culture and her people. Bask in the sunshine on our diverse and tranquil beaches. Come see for yourself what paradise is all about!